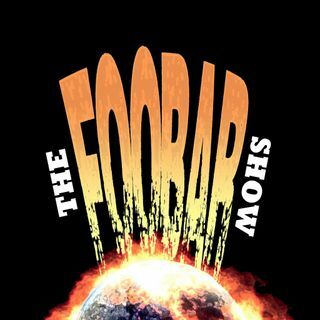 Episode 88: The Foos talk about people who clap in a movie theater vs people who clap after their plane lands. During Nerd News Josh gets into the new Avengers Trailer and some theories about the quantum realm. The addition of Deathstroke to DC’s Titans. The introduction of Bain on Gotham. New developments with the Flash villains. After the break, they go on a pie debate while tasting their favorite pies to determine which is the best pie of all. During all of that, Joe C debates on whether a ... See More cheesecake is a cake or a pie. The Foo debates on when it is appropriate to tip at a Marie Calendars. In The Joint Report, Joe C talks about the risks involved with taking cannabis and cannabis paraphanelia to SXSW held annually in Texas. Music Highlights: Drunken Lullabies by Flogging Molly, Kiss Me I’m Shitfaced by Dropkick Murphy’s, and Takeover by Jay-Z. Dishonorable Mention: Thotiana by Blueface.